We have often been asked how many American History Heroes have we portrayed in our four card games to date, i.e. in Explorers; Scientists; World War 1 Heroes and Sports Heroes. That led us to have a proper look and see if there were any pattern to the number of US History Heroes in each pack. That was easy: there isn’t. There are nine US Sports Heroes; 11 Explorers, who are either American or, who are so relevant to US history that they have been claimed by the USA as their own, such as Cabot and Columbus; there are 4 US World War 1 Heroes in our WW1 card game and interestingly only 3 US Scientists. 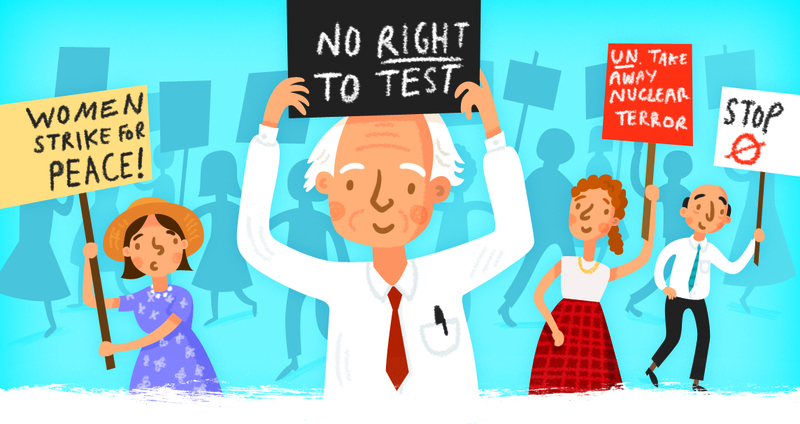 Linus Pauling – the only person to have won 2 unshared Nobel Prizes: 1 for his research into the nature of the chemical bond, the other (the Nobel Peace Prize) for campaigning against nuclear warfare. Not surprising, therefore, that he was treated like a traitor in the McCarthy Era. 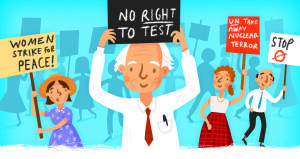 By coincidence, 1 of the other US Scientist Heroes is Richard Feynman, who helped develop the Atom Bomb in WW2 – two scientists, slightly at odds with each other! The third US Scientist is Barbara McClintock, who identified ‘jumping genes’ in 1950 & was finally, and rather belatedly, recognised with a Nobel Prize for her work in 1983. 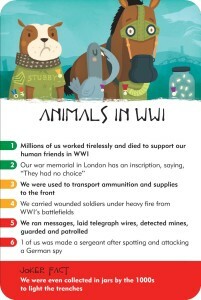 There are 4 US World War 1 heroes in History Heroes’ World War I card game. The game has consciously represented the war as a global experience but we put our hands up: that global representation has been judged from a British perspective. We felt it would be impossible to give an internationally ‘generic’ view about a war, which offered very different national experiences. So our US ‘Heroes’ in History Heroes’ World War 1 game are: Woodrow Wilson, the US President, who was re-elected in 1916 on the slogan, “He kept us out of war”! ; RMS Lusitania, the ship, whose sinking in 1915 helped turn the American people against the Germans; John J Pershing, along with George Washington, the only 6 star American general, and who led over 2 million American troops to fight in Europe in WW1. 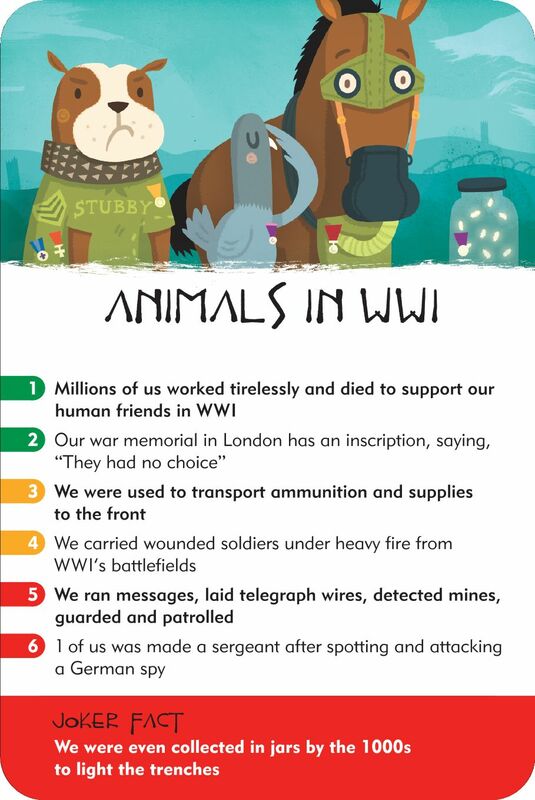 The 4th US Hero in History Heroes WW1 game slips into our ‘Animals in WW1’ card and is Sergeant Stubby, a dog – named for his stubby tail – who was smuggled into the Western Front in France by his American owner and who went on to save many soldiers from mustard gas attacks and even caught a German spy. 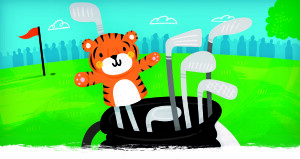 History Heroes’ Sports Heroes card game is unsurprisingly peppered with instantly recognisable and iconic American sports stars: Babe Ruth; Jim Thorpe; Babe Didrikson Zaharias; Jesse Owens; Joe Louis; Jack Nicklaus; Muhammad Ali; Michael Jordan and Eldrick Tont Woods. Many more could reasonably argue for a place in the game but remember: there are only 40 Heroes in the game against a completely international canvas of sport over the last 1000 years. There simply isn’t enough space for all the sporting heroes throughout the ages! And finally we come to History Heroes’ Explorers. Its American Explorer Heroes give a fascinating range, both in time and in type of exploration. We have included Leif Erikson from the 10th Century – probably the first European to reach North America and who is commemorated in the US on the 9th October. Cabot, Columbus and Amerigo Vespucci come next, all of whom played such huge parts in the discovery and establishment of North America through the centuries up into the 16th century. The US Explorer Heroes also trail blaze with and cover every kind of exploration possible: Matthew Henson & Robert Peary led polar exploration to the North Pole in 1909; Amelia Earhart led aviation exploration by being the first person to fly solo across both the Pacific and the Atlantic oceans in the 1930s. 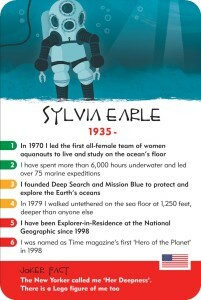 Nobody needs telling how Neil Armstrong led space exploration in 1969 and Sylvia Earle, James Cameron and Don Walsh have all contributed magnificently to opening up the oceans to us with their spectacular sub marine exploration. 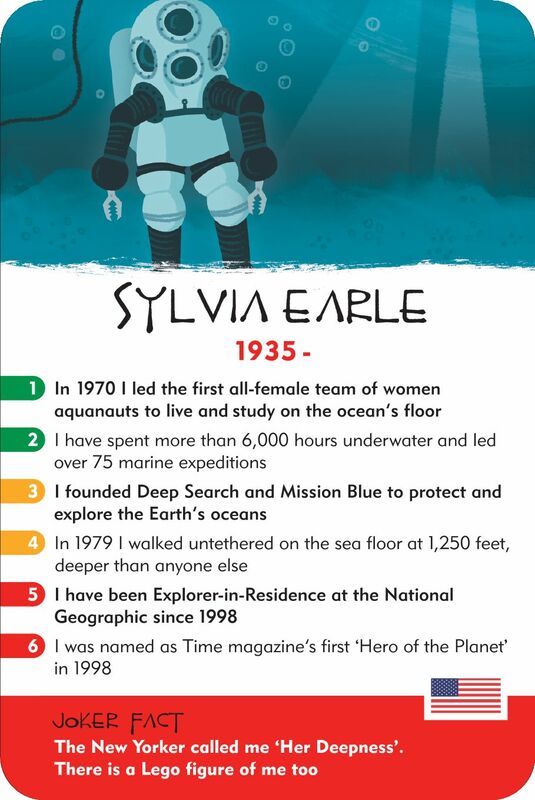 Sylvia Earle, in particular, was named Time Magazine’s first ‘Hero of the Planet’ – so we weren’t the only ones to nominate her a Hero. Americans, of course, have made a huge contribution to our vision of history in the History Heroes themes to date. There are so many more History Heroes to be covered, American and otherwise, in so many different themes. We can’t promise to tackle them all, but we look forward to trying! 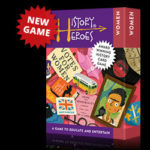 History Heroes’ new game: WOMEN in history on International Women’s Day! On International Women’s Day, Wednesday 8th March 2017, History Heroes releases the latest in its award-winning series of educational and entertaining card games.